Last month, one of our favorite abstract painters working today; London-based Kes Richardson, returned with an exciting new solo show, which took place at another favorite of ours from the English capital: the FOLD Gallery. With his new paintings, exclusively created for the exhibition given the moniker ‘FAIR GAME’ that ran for a month until the beginning of October, Richardson breaks out of the grid structure that formed the mold for the nine paintings for his debut solo exhibition named ‘Garden Paintings’ from 2013 (which became our introduction to his abstract work) showing a new depth in his abstractizations and the exploration of radical new imput on and even outside of the canvas — resulting in some of his most intimidating creations until date. Ranging from the size (larger) of the works, materials used and means of display: ‘FAIR GAME’ opens a new chapter in Richardson’s portfolio. Canvasses are cut up, reconfigured and collaged; barely marked and heavily worked; hung at or propped against the wall. The element of play, which without a doubt was an important element in the abstract motifs in his earlier paintings, is taken beyond the canvas into the exhibition space and therewith, in our eyes, to the next level. Simplified motifs are still part of the new works: cartoons, logos, figures and symbols — yet it never touches the figurative realm as it did in 2013, only hinting to these icons of pop culture, as if he is pinpointing the iconic relevance of that culture today. Most of the new paintings have come to life growing from small drawings and collages: created on slippery, coated paper that allows marker, watercolor and oil pastel to sit on the surface retaining its vitality and spontaneity. With some of the works subsequently cut up and put together again, creating a new motif out of the different elements. Without a doubt, ‘FAIR GAME’ presents some of the most radical and raw abstract works from the hands of Richardson, which for us feels like a highly interesting new artistic direction, showing a next level of depth and (by chance?) runs parallel the line of aesthetic saturation that asks for strong abstract representations as food for thought to stay critical. Literal figuration is poked, toyed with and put further under strain when passages of paint are savagely cropped or abruptly smothered. Richardson enjoys this element of chance and game play as paintings encounter other paintings, often with a different visual key or tone. These forced meetings throw up something unexpected that the eye struggles to make sense of as a coherent whole. Fluid arcs continue but with a change of pace or charge – forms shift in dynamic – spaces open and close. Kes Richardson graduated from Bath Spa University College with a BA with Honors in Fine Art in 1998. In the years that followed he became successful on an international level, having been featured heavily in both British and international press. In these earlier years Richardson’s work was featured in magazines like GQ, The Face, Design Week, Metro and the Evening Standard, amongst other publications. Although his work had been exhibited in galleries, mostly based in London, from the moment his aesthetic focus shifted towards the abstract work we particularly love, he found representation in the FOLD Gallery, which was marked with his very first solo exhibition ever in 2013, followed by several group exhibitions in the London-based Gallery and his second solo exhibition ‘Fair Game’, that took place last month. 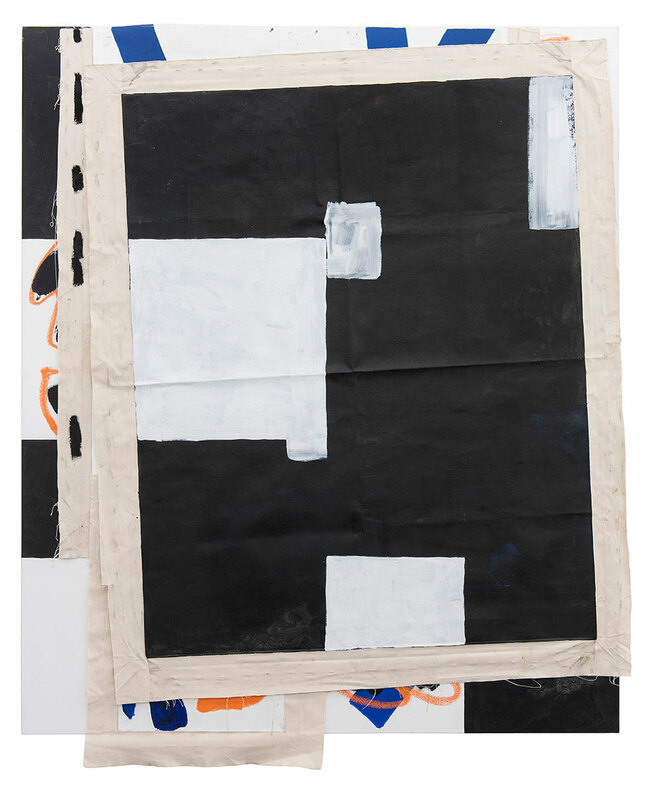 Richardson was also part of group exhibitions at Frontviews Temporary in Berlin and London-based galleries Tannery Projects and Horatio Junior in 2015 and 2016.